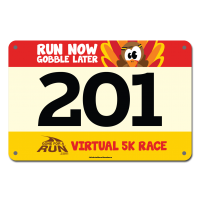 Did you know that only some races allow bib transfers? A bib transfer is when a paid participant in an event gives or sells their entry (bib) to another individual. Only events that specifically state in their registration process that transfers are allowed will accept a bib transfer. There is usually a fee associated with the transfer but this ensures that the new participant will be properly included in the results. Bib transfers that are done without the event’s knowledge can create huge problems related to the results of that event. A man could win a women’s event or age group results could be impacted. Unfortunately when this happens, it is often the timing company that gets blamed for the error. This can substantially impact the reputation of the timer. So please think twice before giving your bib to another person. There are more repercussions than you may realize beyond being disqualified from the event!! ← THE POINT DOUGLAS RUN IS FAST APPROACHING!